WASHINGTON – Americans who did not have health insurance last year might have to pay a penalty when they file their federal income taxes this year – but some people who did have coverage might owe Uncle Sam, too. People who got financial assistance to pay for their health coverage last year under the Affordable Care Act could end up owing hundreds of dollars if they underestimated their income last year and got more assistance than they should have. It’s just one of many changes coming to a tax form near you with the start of the insurance reporting requirement under Obamacare, which requires almost all Americans to carry health insurance or pay a fine. “As a result of the Affordable Care Act, there are a bunch of firsts this year, with respect to your 2014 tax return,” said Stephanie Fierro, senior counsel at the Frutkin Law Firm in Scottsdale. If you didn’t know that, you’re not alone. 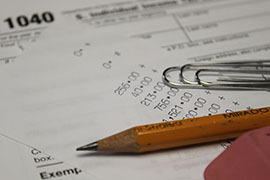 A recent poll by the Kaiser Family Foundation found that nearly half of Americans were unaware that the reporting requirement takes effect this tax season. For most Americans, the effect of Obamacare will mean little more than checking a box on their tax return stating that they had health insurance all 365 days of 2014. But for those who got health insurance through healthcare.gov, things are more complicated. Those people should have received a Health Insurance Marketplace Statement that, much like their W-2 form, they need to file a return. If they got federal financial assistance to help pay for their marketplace coverage, they face another – potentially costly – step. Their assistance was based on their estimate of 2014 income when they signed up last year. If it turns out that they earned more in 2014 than they predicted, it means they got more assistance than they should have – and they will have to pay the government back. Taxpayers are on the hook even though they never got that assistance directly. The assistance came in the form of tax credits, most of which went directly to insurance companies that decreased that amount from the individual’s monthly premium. Kaiser estimates that nearly 50 percent of those who received tax credits will owe the government, an average of $794. About 45 percent would receive a refund, averaging $773. Of the 120,071 Arizonans who signed up for marketplace coverage last year, about 77 percent qualified for financial assistance. Keeping on top of your income, and your assistance, is important so that people don’t get a surprise at tax time, said Allen Gjersvig, healthcare innovation director for the Arizona Alliance for Community Health Centers. “This isn’t a do-it-once-and-forget-about-it kind of thing,” Gjersvig said. Also this year, most Americans who did not have insurance in 2014 will have to pay a tax penalty – $95 per adult and $47.50 per child or 1 percent of household income, whichever is greater. That will increase next year to $325 per adult and $162.50 per child, or 2 percent of household income, for people who don’t get coverage this year. Gjersvig said it’s not too late to get coverage this year with an eye toward next year’s taxes. Even though 2015 open enrollment ended in February, there is a special enrollment period from March 15-April 30 for those who were fined this year, still don’t have insurance and check a box saying they were unaware that Obamacare requires all individuals to have insurance. “I wouldn’t expect this to happen again, but because it’s the first time it makes sense that this special enrollment period was offered,” Gjersvig said. After that enrollment period, one Arizona insurance provider, Meritus, will offer qualified health plans outside the marketplace that are identical to those offered during open enrollment period, but will not be eligible for federal financial assistance. Volunteer tax preparers said the new rules provide an “entry way” for them to talk with low-income filers about issues such as health insurance. “It really is an opportunity to work with low- to moderate- income individuals to let them know what other community resources are available in their community,” said Charlie Boyce, director of community impact at Valley of the Sun United Way. 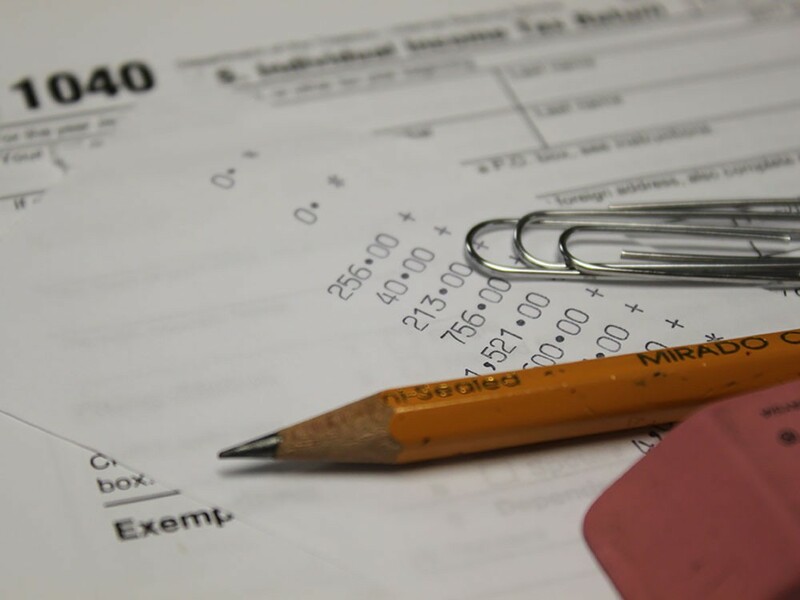 It is one of the many community organizations in the state offering Volunteer Income Tax Assistance for individuals that make less than $53,000 a year. Boyce said that VITA volunteers are trained annually to in changes to tax law – and this year is no different. He said “there hasn’t been more confusion this year” because of additional requirements set forth by the Affordable Care Act. “You get … new tax law every year and you go ahead and do taxes accordingly,” he said. Gjersvig said his alliance has been reaching out to VITA volunteers and commercial tax preparers to encourage them to point taxpayers to health care “assistors” who can talk to them about health care options. In this year of firsts with Obamacare, Gjersvig said it is important that people understand their responsibility. 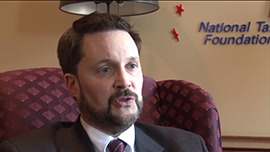 “Because this is all new, and it’s new to the tax preparers, it’s new to consumers and insurance companies and, of course, assistors – it makes sense to be smart and if you have questions, follow up with somebody that knows more than yourself,” he said. Cronkite News reports on a tax scam that has reached more than 400,000 people and cost Arizona taxpayers more than $250,000. Taxpayers this year will face questions on their health coverage, one of the requirements of the Affordable Care Act. For most, it will mean just checking a box to affirm that they were covered, but others could owe the government.